These paintings form part of a series of works which explore notions of domesticity and women’s concerns over work-life balance. Informed by genealogical research, they are a tribute to the working lives of generations of my female ancestors who worked in The Potteries. Like many women they struggled to work full time, while running busy homes and bringing up their families. 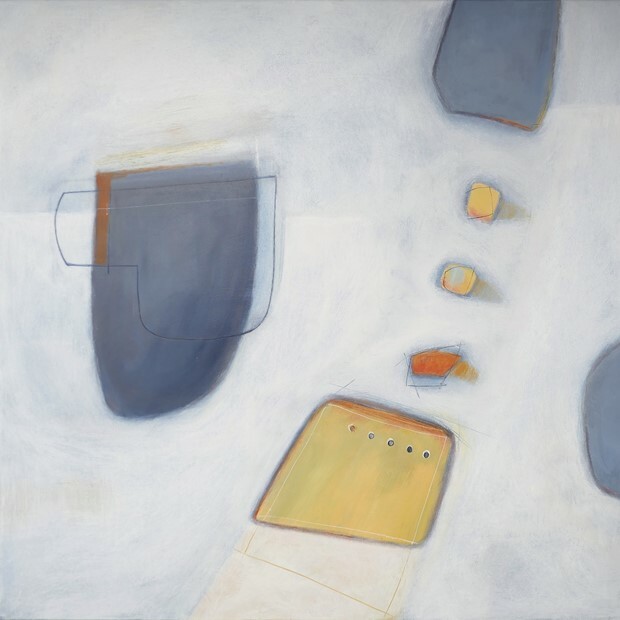 Sketchy, flattened shapes reminiscent of domestic ware, intermingle with other less defined abstract shapes. Sometimes there appears to be a comfortable settled arrangement. At other times the clutter may appear juggled or simply thrown into space.